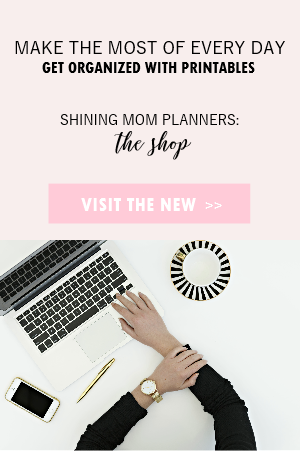 Planners are big part of the Shining Mom blog. 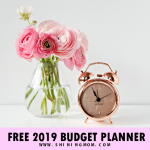 You don’t have to be in the blog for long to discover the several organizers I have previously shared, designed to assist you in planning your days. 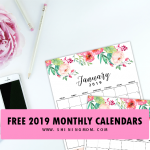 But I must say that of all the freebies I shared, my free printable weekly planners are the most-used ones! 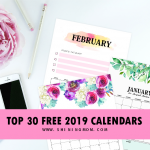 They’re always my go-to planner of choice for my weekly bliss! 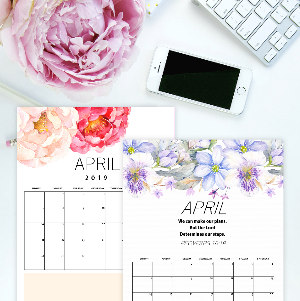 Chic and stylish weekly planners to keep your week organized and blissful! Do grab your own copy! 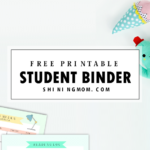 So just early this morning, I thought of releasing another set of freebies for weekly planning needs, I wanted a binder of free printable weekly planners. With this in mind, I quickly caved in at my work station while the kids were still sleeping. And as I write this post, the planners are freshly done already and I am happy with the outcome, I must say! 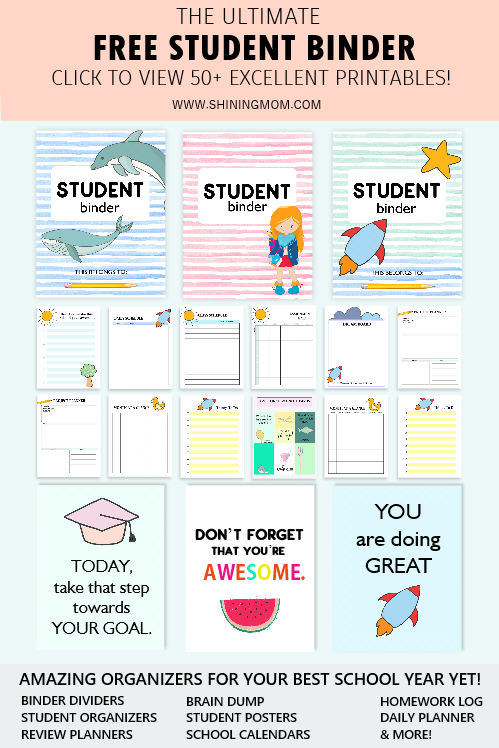 I am hope that a lot of you will be happy to use these in planning your days! How do you want your weekly planner to be like? Me? I want mine to look clean and pretty. I don’t want anything that is overly adorned. 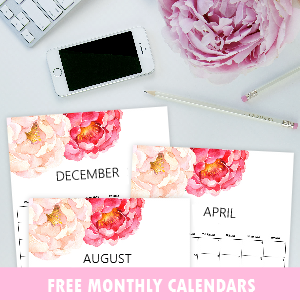 So for the free printable weekly planners that I am sharing today, the copies come minimalist and dainty. Do you like your weekly planner to be simple? 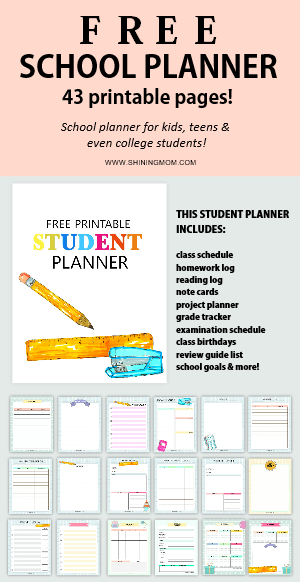 Then this could be your planner of choice! Browse along! 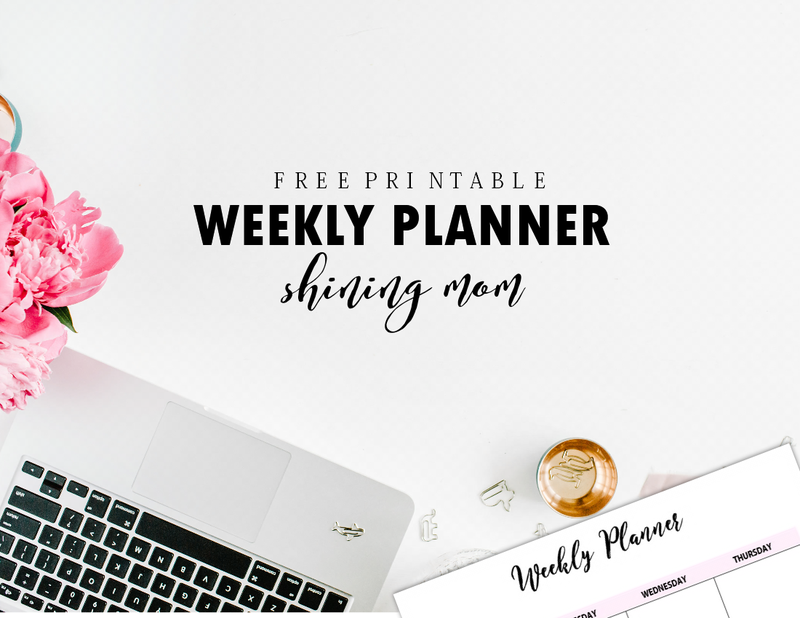 This free printable weekly planner has five planning pages in both portrait and landscape formats. 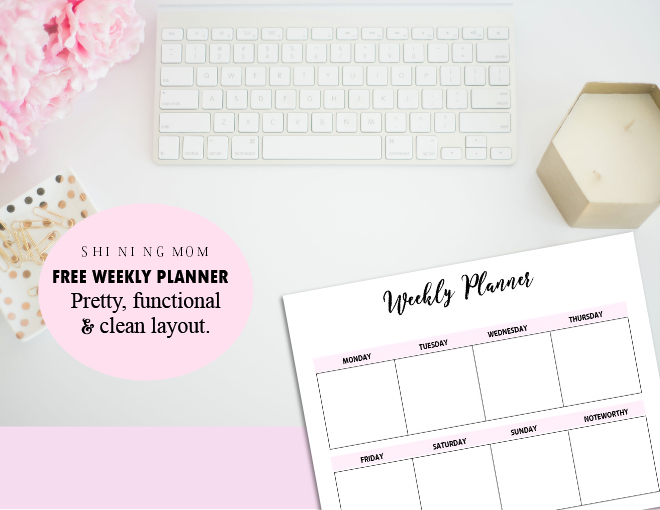 I hope you’ll find the layout that will be a perfect fit to your weekly planning. The planners are in different formats because I understand that everyone likes to organize their time differently! 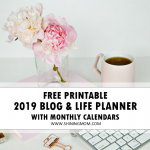 To give you a sneak peek at the pages, join me in this quick planner tour! Here’s the Weekly Plan layout. It’s basic with a good room for your daily planning. I’ve also added an area for you to write your weekly goals so you’ll stay focused all through the week! This next page has a little flower adornment. 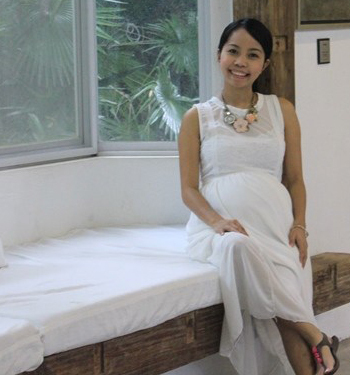 It’s ultra chic and feminine! This is the page where you can write your priorities for the week and your weekly menu plan, of course! Now you have a tool to plan healthier meals for yourself and your family! 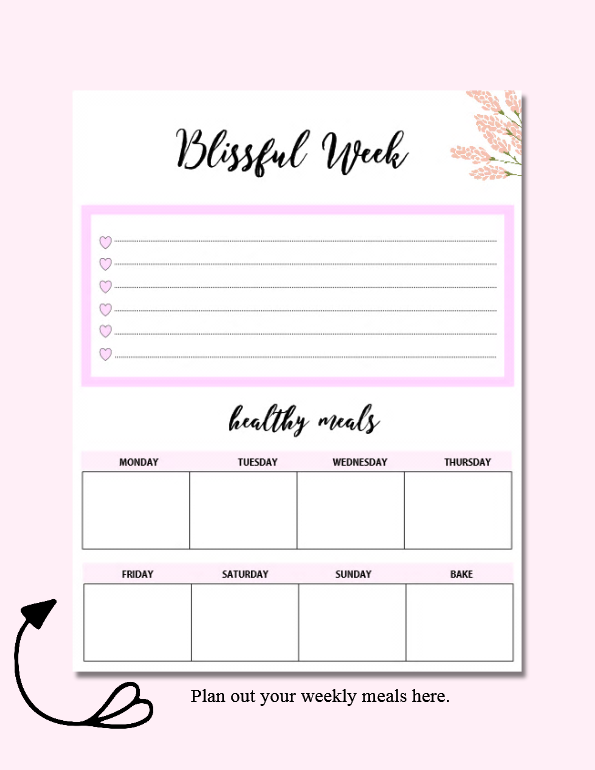 Loving this basic free printable weekly planner set? If you think you can use them, grab the files in portrait HERE while the ones in landscape HERE (all designed to be printed in standard, letter-sized paper). 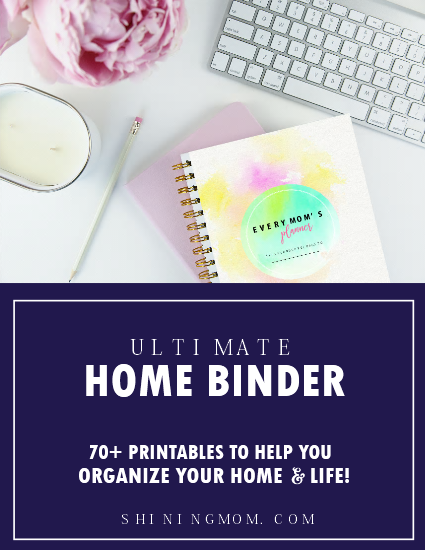 While these planning pages are perfect for busy mommas like me, entrepreneurs, students, office workers and teachers can definitely use these to organize their days. The pages are fantastic to keep your days organized, productive, beautiful, and blissful! 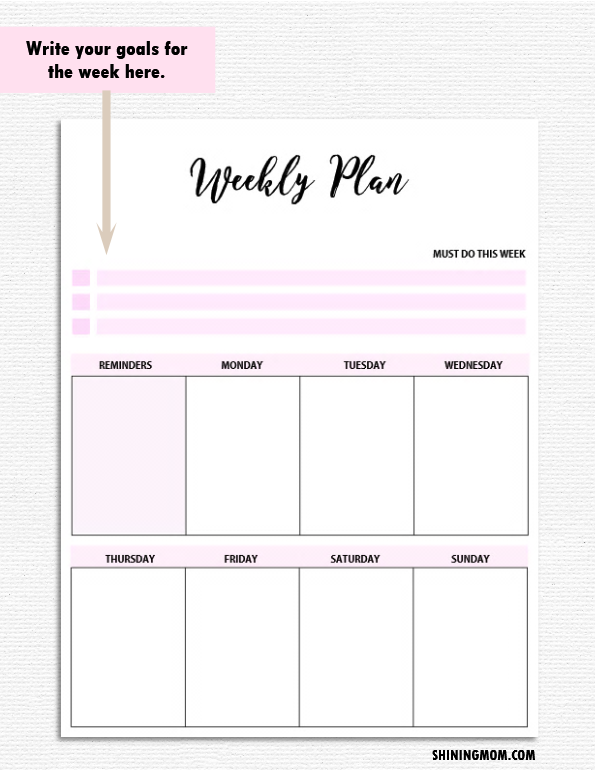 Meanwhile, I have also created dainty organizers that you can use with this weekly planner. It’s a pretty and minimalist set! And should you like to also enjoy my oh-so-popular planner in Pinterest these days (Thank you, dear friends! ), you may view my 2017 edition here. That’s about if for our Happy Freebie Monday segment. See you again very soon! « How do I like my kids to see me?